How to maintain your used car! Maintaining your car is easy and can save you lots of money! The number one mistake a used car owner can make is falling into a cycle of breaks and repairs. The car is not a strange, mythical creature – in fact there are thousands of resources to help you! Don’t fall into a cycle of breaks and repairs. Instead, follow these simple tips to ensure that your car will never fail you, and remember that an inspection/scheduled service will be much, much cheaper than getting your car towed because of a mechanical failure – not to mention the cost of repair. Get to know your vehicle. If you don’t have an owner’s manual for whatever reason, 99% of the time you can simply Google your car’s make, model, and year followed by “owner’s manual PDF” and an electronic PDF version will be available! This can also be more convenient because car manuals are thick and dense – just print out your favorite reference pages into a packet and stick it somewhere safe in your car! Tires are what hold your car off the ground and keep your car from spinning off the road, so pay attention to them! Your car may be mechanically sound when buying it secondhand, but oftentimes the previous owner didn’t bother to even check the tire treads. Here’s a quick trick you can do with just a penny or a quarter to ensure that your tires are not worn out! If your tire treads are too worn out, you should think about replacing your tires. Insert a penny into your tire’s deepest groove with Lincoln’s head upside down and facing you. If the groove covers the top of Lincoln’s head, the groove is greater than 2/32 inch and your tire is still safe to drive on. If you can see all of Lincoln’s head, the groove is less than 2/32 inch and you should get that tire replaced. Tire pressure is just as important as tire tread depth. When your tire pressure is too high or too low, you’re putting you and your passengers in fatal danger. It’s important you inflate your tires to their optimal pressure to ensure your tires will never pop or cause rim damage. Get an inexpensive and reliable tire pressure gauge online from a reputable vendor such as Amazon, or go to your local auto repair shop. Often times the tire pressure gauges at gas station air pressure pumps are unreliable, so get your own and leave it in your car or at home! Find the recommended tire pressure for your tires! Sometimes the front tires will need a different air pressure than the back tires, so be sure to consult your owner’s manual! In some cars, there is also a small sheet of information printed on the driver’s side doorway. Worst case, try looking online for more information – but make sure you get your information from a reputable source! Find the air pressure valve on your tire – just scan the outside of your tire for a small screw-cap similar to what you would see on a bicycle tire. From there you can check your tire’s pressure and adjust accordingly by either putting an air pump over the valve to pump air in, or let air out using a key or pen by pushing the needle inside the valve in. All of these can be replaced for free at home very simply, so save some money and make sure you’re taking care of your car! You should never ignore a leak – if you see one, you have to get your car inspected! Leaks are a sure sign that your car is going to break down in the near future, so don’t cheap out because it will cost you more money in the long run. There are many financial advantages of buying a used car. Used cars are less expensive. Used cars do not depreciate in value the moment they roll off the lot. Used cars do not cost much to insure. However, there is one major disadvantage of buying a used car. Used cars don’t come with comprehensive new-car warranties, and therefore the owner must pay for all maintenance and repairs. We understand this can be a scary proposition. After all, who wants to spend their hard-earned money paying for auto repairs? Nobody. Here’s how you can help yourself. When searching for a used car to buy, look for models that are known for their reliability. This is the best way to minimize the risk of costly maintenance. And reliable cars stay on the road, so you won’t have to deal with the hassle of repairs. Reliable used cars are a no-brainer! They won’t break the bank now and they won’t break the bank later. Talk about a win-win proposition! See the list below for some great information on buying reliable used cars, courtesy of Consumer Reports, Edmunds, and Autobytel. Credit accounts: How much debt do you currently have? Payment history: How frequently are your payments made on time? Income: How much income do you have to cover your payments? Credit Inquiries: How often and how recently have you have applied for credit? 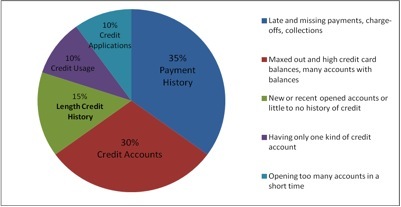 The chart above illustrates factors that will affect your credit score. Income, age, bank balances, marital status and debit and prepaid cards do not affect credit scores. Although, these factors do not affect your credit score, lenders might look for information such as your employment status and income when making their final decisions. The day that many Californians have been anticipating for has finally arrived. Those who have been fined with tickets, court fees and car impoundments due to not having a driver license because of their legal status, don’t have to worry anymore. A new law signed by Jerry Brown, is allowing millions of people in California to drive legally. This law is called Assembly Bill 60 (AB 60) and has been effective since January 1, 2015. 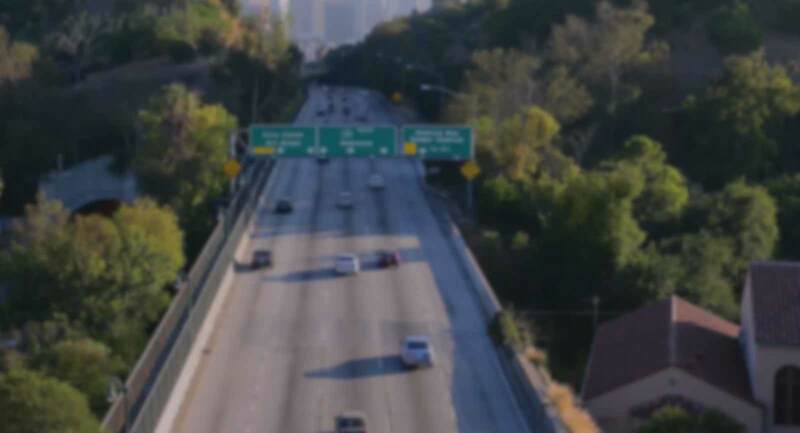 The implementation of AB 60 has required the DMV in California to issue a driver license to those applicants that are unable to give satisfactory proof of legal presence in the United States. Complete a driver license application form (DL44) offered at the DMV office. For a complete guideline to help you determine the documents needed when applying for a driver license please select one of the following forms: English (PDF) , Spanish (PDF).